There are numerous ideas about how to make a music artist website on the web. However, most of these ideas are for a professional web designer needs to build impressive websites for bands and musicians. But what to do if you (being a musician) want to create an attention-grabbing design yourself? How realistic is that, especially with zero expertise in the web design? These are two questions we will answer in this post. Stay tuned! Make sure you have an actual person you can contact in case of emergency. The main purpose of creating a music website design is to let the whole world know how beautiful your music is, not how little you know about web development, right? That is why opt for music website design templates that offer (a) the long-term tech support via (b) a phone call or a live chat. Decide (as early as possible) on how to organize a website. Will your music web design be purely presentational/informative? Or you are planning to sell your music/tickets to your shows on the website? Let’s face it – it is much easier to build an estore for music from scratch than to turn an existing landing page for musicians into a successful ecommerce project. Avoid audios/videos that play automatically. Yes, it might seem like a good idea to impress your prospective audience with your music the second your website is fully loaded. However, most online users find it annoying if music is imposed on them. As a result, you may start losing traffic. To avoid this problem, learn more about how the web design impacts on SEO. 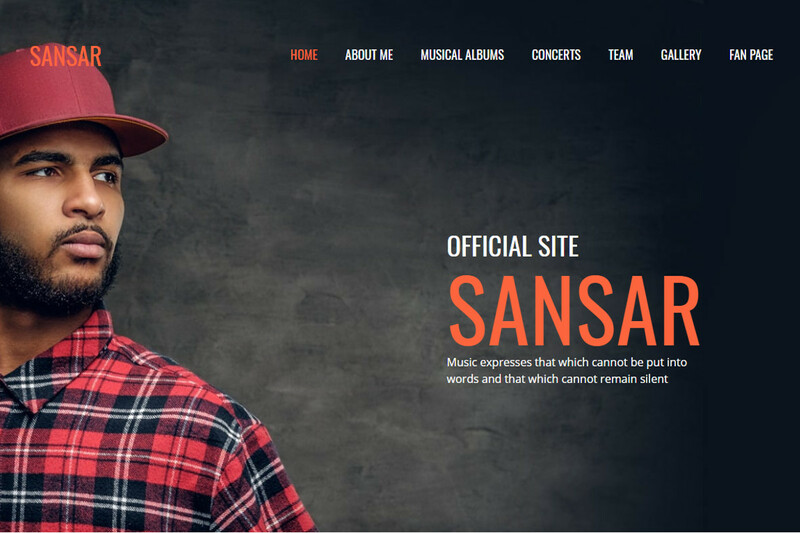 Choose a music website template with the powerful media library. The best way to check how user-friendly this media library is, test the library before buying the template. What do you do if there is no free trial available? Or – even worse – if you notice any loading issues when packing the media library with your music? The answer is obvious – this template will not be of any use for a musician website. Revisit your music website every so often. A website of a musician or a band is a fluid concept. It will be well-visited only if you keep all the content (albums, gigs schedule, galleries) updated. To do so, make sure that the template you are about to purchase offer the drag-and-drop functionality. Stay consistent with your style. It is true that music speaks louder than words. So do colors and images. So, it makes sense to decide on the color scheme long before actually picking the dominant colors for your music website. Like all other creative professionals, you need to keep in touch with your fans. Remember that most of the prospective online visitors are equally interested in your music and you as a person. That is why it would be nice if you find the time and desire to publish posts on a website blog. Thus a blogging functionality is a must for a musician website these days. 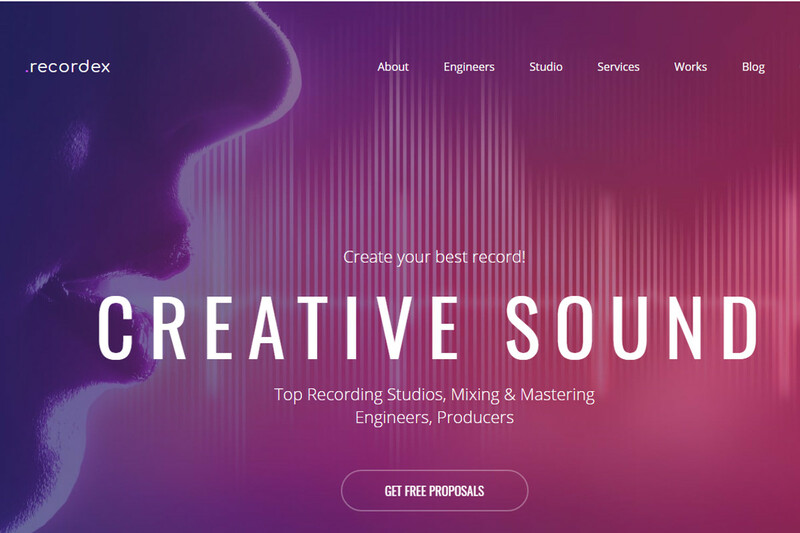 Recordex is a music band website design that can also be of benefit for individual musicians and recording studios. As all the stock photos you see on Recordex pre-populated pages are included in the installation package, it will take you a few minutes to go online with your content. Make use of the powerful Media Library to store and sort your music effectively! This music website design will help you to sell tickets to your shows as well as inform your fans about new songs and upcoming gigs. Just view the live demo to experience how dynamic Sansar looks thanks to the smart countdown timers, integrated videos and audios, and user-friendly contact forms. Register a free 14-day trial to get inspired by the energy of this music web design. 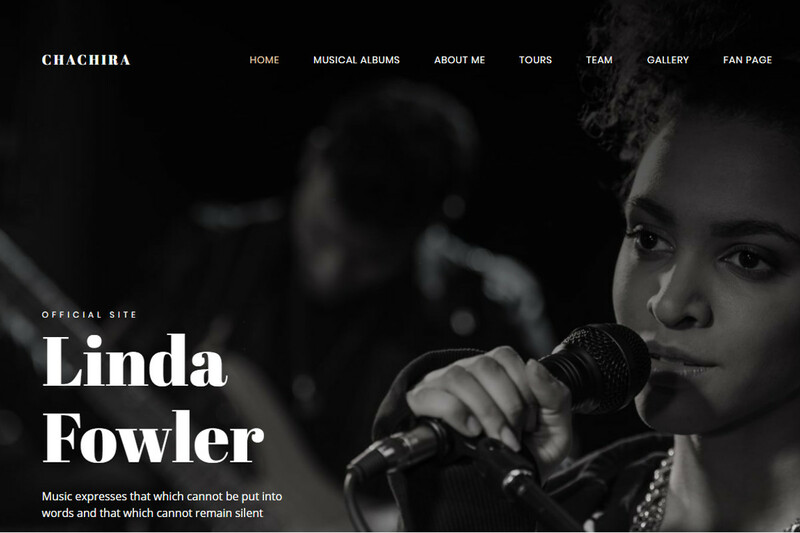 Available in Light and Dark versions, the singer landing page template under discussion was created to satisfy the demand for professional and manageable websites for singers. Believe it or not – with the superb free 24/7 tech support from MotoCMS, all your music website ideas will be brought to life in no time! Originally designed as a web template for DJs, Musicx is capable of being transformed into a number of websites for bands and musicians. As you can see in the live demo, this web template for music websites is pre-populated. That is why you can skip the phase of creating page designs from scratch and concentrate on your music instead. 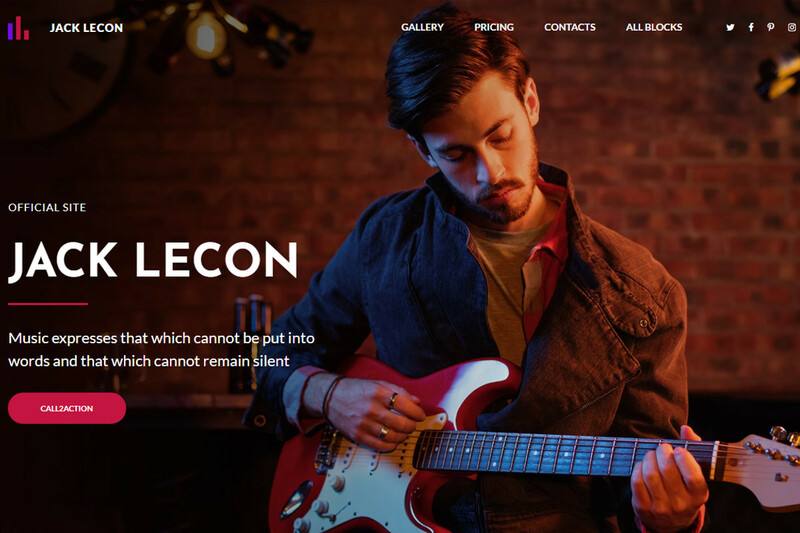 With this music band website design, you know for sure that your music will get appreciated. Created specifically to cater to the needs of musicians, Chachira has tools to introduce you to the world via spectacular galleries and integrated videos. The Media Library in this music template is well-organized and aimed at presenting your albums with grace. No loading speed issues will ever compromise the quality of your art. As you can see, if you want to learn how to make a music artist website, you need to roll up your sleeves. The bad news is that even the best professional music website design templates demand some work on your part. 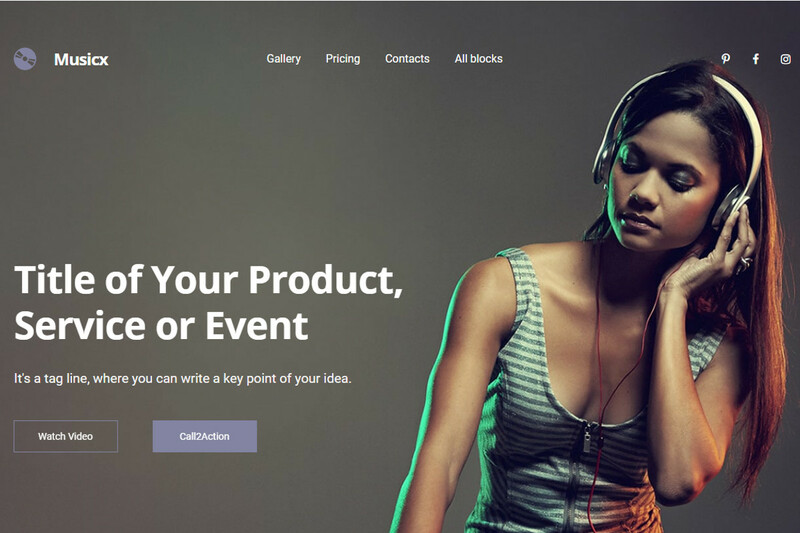 So, you need to start collecting music website ideas right now, deciding on what type of website you want, what colors you prefer, and what posts to publish in your blog. The good news is that all your hard work will 100% pay off as soon as your music gets heard worldwide!